Do you attend your district Roundtable? When I was first recruited to be a den leader, our Cubmaster told me that, besides basic leader training, I needed to attend Roundtable each month. I viewed it as part of my commitment to the boys in my den, and found it to be really valuable as a new leader just learning how the program worked. But over the last few years, I’ve noticed that Roundtable attendance has been steadily dropping. When I started going, we’d have sixty to eighty Cub leaders and thirty to forty Scouters from troops come to Roundtable each month. This month we had 40 people tops – including the commissioners, the district advancement team and Roundtable staff. Is it because people feel Roundtable isn’t important any more? Do we have less free time so Roundtable becomes the casualty? Or is it simply because nobody asked them to go? I’ve always stressed Roundtable attendance during the leader training courses I’ve taught, and have found that those who did come to Roundtable after training seemed to have a better grasp of what they were expected to do. They remain active longer, and many go on to serve at the district level as well. I’ve observed also that packs and troops where the adult leaders regularly attend Roundtable are among the more successful units. They recruit more Scouts, retain them better, have greater youth engagement and show adult enthusiasm. They have more exciting and interesting activities, advance more Scouts, and parents feel better about their sons being in Scouting – at least based on my casual observations. When it comes to improving Roundtable attendance, we can all help out. First, be a Roundtable attendee yourself. Make the time to go each month (it’s part of your job, after all). Attend the breakout session most appropriate for your involvement, and participate in the discussions. Go back to your unit and tell others what you learned and did at Roundtable. They’ll get the idea that they missed out on some valuable helpful information – and the fun as well. 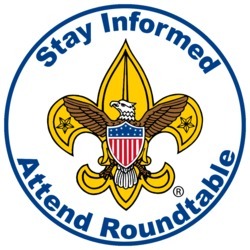 Become an ambassador for Roundtable. Make sure everyone knows when and where it’s held every month. Offer to give rides to others who would like to attend. 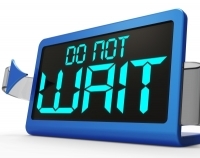 Making a commitment to go with someone else improves the likelihood that they’ll attend. Encourage new leaders to go. Make it an expectation to attend. Tell them what they’ll find there. Remind them a few days beforehand so they can make plans. When new member prospects attend our unit meetings, talk to the parents and point out that your volunteers take their roles seriously enough to attend ongoing continuing training each month. Whether adult leaders attend Roundtable isn’t one of the typical questions a new member would ask, but it makes a big difference in the program. Don’t view Roundtable as just another optional meeting you can blow off. If you take it seriously, others will see your commitment and will at least be aware of the importance of attending. You’ll be glad you went because you’ll find out things you didn’t know. And when someone who has never attended Roundtable goes with you, have them share the enthusiasm with other Scouters in your unit. It could be contagious! I agree that roundtable attendance can be very helpful, but, that is only if the staff running the roundtables makes sure that the roundtable is providing useful content that cannot be found by simply checking the Council website. Myself and several SM’s I know get very frustrated after attending a roundtable! Many times the information presented is not timely or pertinent and I truly believe that is why roundtable attendance is dropping. Roundtable staffs definitely have to be engaged and enthusiastic. I know it can turn into a drag for the staff to come up with new unique ideas each month but with some planning two or three times a year, a good program can be brought together. Current staff can always be on the lookout for enthusiastic participants to invite to become staff members themselves. Everyone on staff should be on the lookout for someone who can help out and eventually replace them when the time comes. Our district’s current Roundtable Commissioners were once monthly attendees. I know it’s not in the grasp of many people but I’ve heard great things about the Roundtable Commissioner training weeks at Philmont. Those I know who have attended have had better Roundtables that were fun to attend and to help staff. Even if Philmont is out of the question, there may be area or regional weekend commissioner conferences or colleges that have RT Commissioner sessions. Just as you wouldn’t expect a den leader to serve without having been trained, the same applies to RT staff. I totally agree with you about the dwindling numbers in Roundtable. I have always come away from RT with more information to share with my Pack & Troop. Many of the struggling Packs in our Council do not attend because they are too busy trying to figure things out on their own and if they could just take a step back and see that they are not alone, that there is a helping hand waiting for them to come, their programs could become better. Do you do any sort of rewards for those who do attend ? Also, any tips for helping those who come share with their Packs. I see that they come and it benefits their position, but not sharing their knowledge with others in their unit. Keep up the great work fellow Bobwhite. Good thoughts, D3. We have done rewards ranging from a program-themed newsletter (similar to Baloo’s Bugle on a smaller scale) to giveaways of Scouting books and merchandise, and of course there’s always coffee and snacks. There was usually a totem of some kind and beads given out for attendance, participation, uniforming, etc., and a coup stick or something similar for the pack with the greatest attendance to take for the month. I think the greatest value in Roundtable is the position-specific breakouts. I usually ran the Webelos leader breakout and tried to have useful timely information to help. I also published a schedule of monthly topics (activity badges, things to be planning now, etc) so attendees would know what they’ll learn about each month, and I gave a prize at the end of the year to the leaders who attended the most breakouts. Previous PostPrevious Why is training still optional?